Thank you for inviting me to contribute to this conference. Phil and Andy have done something very important in picking up an overlooked aspect of the public conversation on the future of nuclear power in this country. British Governments have become skilled in recent years at concealing their policy intent in full view. As their fear of the headlines and reluctance to trust the public has grown, so, too, has their skill in this art. The British public is insistent in its demand that more be done to protect the environment. This has been a powerful deterrent to those ideological voices in the Conservative Party from openly pursuing their deep deregulatory agenda. This agenda is, by the way, the real driver, as is becoming increasingly apparent, of those Brexiters who would prefer the hardest of no deal outcomes. Their response to the wrong public has been to develop a stealth strategy that has neutered the independence of Natural England and the Environment Agency and deprived them of the means to properly carry out their statutory duties. This is not just a cranky old environmentalist being rude, the current Chairman of Natural England went on the BBC last week and said as much. 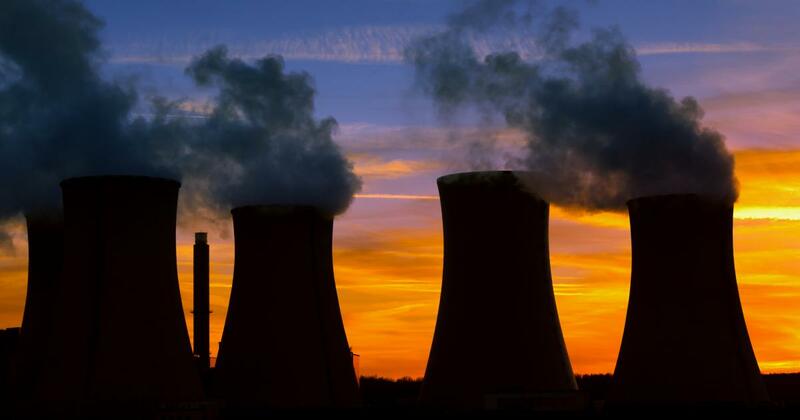 As the evidence base of the Government’s case for a 16GW programme of new nuclear power has collapsed so the consistent reiteration of their commitment to it has grown – even as the eventual size of the programme has been stealthily revised downward. This inevitably raises questions about what it might really have in mind. Is their commitment to new nukes really a way of getting unwitting electricity consumers to subsidise the over-stressed defence budget, as Andy and Phil are suggesting? Or, is there some powerful environmental case for new which just conveniently happens to align with the needs of national security? Let me make my personal position on the national security question clear from the outset. I am not a unilateralist. I would very much rather not live in a world with nuclear weapons, but we cannot wish them away. As was pointed out at the time, the only really important secret of the Manhattan Project was that a bomb would work. Once that was known, we had eaten of the fruit of the tree of knowledge of good and evil and were out of the garden. This is not the place to develop the multilateralist case further, but I do want to point out that civilian nuclear power programmes are a fatal flaw in the current nuclear non-proliferation regime. It is a tragic irony that, after the rejection of the Acheson-Lilienthal memorandum in 1946, it was the United States that supplied Iran, Israel and Pakistan with their first nuclear reactors under Eisenhower’s Atoms for Peace programme. The global abandonment of civil nuclear power is the first, and most essential step, in any serious multilateralist disarmament policy. Others will deal with the industrial and energy policy issues this relationship, so let me focus on the question of whether or not there is some overwhelmingly powerful environmental case for accepting the existential national security risks posed by the nuclear proliferation. Are there some local environmental gains to be gained from nuclear electricity rather than fossil fuels? Yes. You can definitely improve air quality and therefore human health by replacing coal. There will be a far smaller volume of waste to be managed. The footprint of your generation suite will be smaller. Beyond that, I am hard pressed to think of any. These gains are, however, could only be bought at a price of some very difficult, and expensive, local environmental losses. The volume of waste can only be reduced by increasing the risk of human exposure to the as yet unsolved problem of safely disposing of spent fuel and its burden of transuranics for a period longer than the course of human history. Air quality can only be improved by increasing the risk of exposure through routine or accidental exposure to ionising radiations whose long term impacts on human wellbeing remain unresolved. As I am sure you are aware, the only remotely plausible environmental case for more nuclear power is that it is essential to tackling climate change. Climate policy failure will make every other environmental goal we have as human beings unachievable. Despite what some Nobel prize winning economists seem to think, we must do whatever it takes to keep the climate manageable. This argument has rallied support from well beyond the nuclear industry. Bill Gates is a supporter. Jim Hansen, too. When Jim Hansen speaks about the science of climate change you would be unwise not to take him very seriously indeed. When he speaks about energy policy it is not immediately obvious that he knows this subject as well as he should. The most important characteristic of climate change is that it poses a novel challenge to public policy. We not only have to get to a desired, and well-defined point, a 2°C or less increase in temperature, but we must get there in a specific, and increasingly short, time. This is not how human societies normally solve problems. We do things by trial and error. We experiment and learn and experiment again and learn again. It is an approach that has served us well since it does not require a level of collective foresight we do not normally possess. But, it takes time we do not have. This sets a premium on getting our strategic decisions right. For nuclear power to play a significant role globally in dealing with climate change we would have to build enough of it, quickly enough, to replace coal first and then gas in a very short space of time. You do not have to know very much about the engineering requirements of a nuclear power station, or our actual experience in constructing them, to think that this is akin to believing in unicorns. A relatively simple piece of arithmetic on the specialised resource requirements and the equally specialised engineering and project management skills of a nuclear programme, let alone required scale of public investment is enough to make it clear that a massive policy commitment to new nuclear power will not help the world stay below 2°C. This in not to say nuclear power has no contribution to make in decarbonising the energy system. We should run our existing nuclear power stations for as long as it is possible to do so safely and economically. Others will explore later why we have a huge range of cheaper, more deliverable ways construct an affordable decarbonised energy future. Let me just put a global perspective on how little new nuclear power has to contribute to dealing with climate change. Simply deploying LEDs on current policies over the next 5 years will reduce global electricity demand by 11%. That is about the same as nuclear power currently generates. What do you think is more deliverable? So, what is the British Government up to? My guess it is looking for a lot more long grass as it seeks a way to get itself off the nuclear hook onto which it has impaled itself by listening to the lobbies and caring more about the headlines than the climate. As it does so, it will big up the importance of SMRs as a future option. Oddly enough, its concept of an SMR will bear a striking resemblance to a submarine propulsion reactor and we will build one somewhere on an existing nuclear site. Electricity consumers will indeed end up subsidising the defence budget and nuclear power will go on having a locally negative impact on the environment that outweighs any of its marginal environmental benefits.